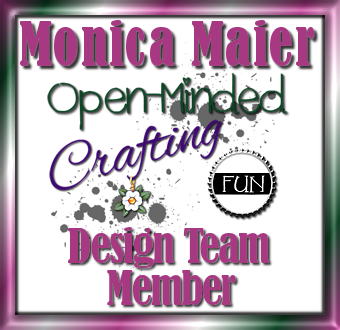 Today's post is for the new challenge over at Open-Minded Crafting Fun. This months theme is Easter/pastel colors. I decided to you pastel colors so that I could use my new paper pad. I colored my image with colored pencils and then fussy cut it. Layered my pattern paper panels on the card base and called it done. Sorry this is a short post, but the card was pretty simple to put together. 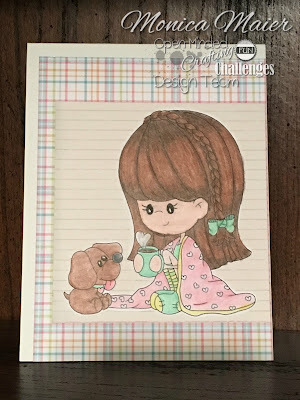 Don't forget to hop over to the blog and join this months challenge for your chance to win one of our prizes. We can't wait to see what you share with us!